Did you know that driving reveals your true personality? As we say in spirituality, the way you are at one thing, is the way you are with everything. This is a special post to help you through Mercury Retrograde, which starts tomorrow, and is linked to travel delays and hot-tempers (see section 3 below). DRIVING adds to 47/11 in numerology, the vibration of words like MEDITATION, MENTAL HEALTH and MENTAL ILLNESS. This is no surprise, as the way we handle a car, is how we manage our lives. It took me two years to learn to drive, due to my nerves*. I was so anxious as a teen, it used to take me 20 minutes to cross a road! Fortunately, my Dad told me ‘it’s good to fail – if it takes you a few goes to get your P’s (provisional licence), you won’t be cocky – careful drivers live longer.’ Wise words. This is not an easy planet for sensitive Souls, so it pays to listen to those who have survived longer than you. No point re-inventing the (steering) wheel, right? *I know now, that confidence follows experience, not the other way around. Fear is not a sin, it simply shows a lack of exposure – it’s a sign that what you’re attempting will evolve you. These days, I look forward to feeling scared before a project, because I see fear like a blunt best friend – a reliable guide to my next path healing. If something (like driving) terrifies you, it’s time to breathe in, and create a new reality. The hardest thing to do, is what makes you whole. As Gandhi said, ‘There is more to life than increasing its speed.’ Find your lifepath and read more on courage – this post includes a visualisation track. This blog was also inspired by an article about Lady Gaga getting her licence at age 30, after years on a learner’s permit. Good on her – as someone recovering from PTSD, she’s such an inspiration! Gaga is a 37/10/1 lifepath, which makes her a late bloomer. Her photos laughing at the registry and praying on the ground after passing her driving test are so sweet. Do you see other drivers as equals, or obstacles? It’s easy to get annoyed in traffic, but really, we all just want to go home. Do you focus on people’s cars and driving (their ego/ external selves) or their motives? Would you be nicer to someone if you knew they were in pain? How do you know this isn’t the case? Do you get cranky when people go too slow or fast (in your eyes)? I believe that, no one’s ever truly in your way, they’re just showing you where your head’s at. We drive our cars the way we drive ourselves. Some people love the fast lane, while others hug the slow one due to having an old car, kids in the back, or wanting to stay close to the exit. Conscious drivers* spend 80% of time keeping themselves on track, and 20% of time watching others. They stay a safe distance from other cars, and are prepared for emergencies. Unconscious drivers spend 80% of time judging themselves or others*, and 20% of time finding their way. As a result of ‘following people too closely’ mentally and physically, they may end up tailgating, speeding up (to beat others), and/ or bumping into those ahead of them. What you focus on, expands, so this sets up a cycle of finding fault instead of beauty. This can result in fatigue, even after short trips. Over time, they grow to dislike driving, or choose to stay a passenger (i.e. become a ‘backseat driver’). This is unfortunate, as it reinforces their insecurities. Read more on how to stay Zen when stressed or criticised. Alternatively, unconscious drivers ‘vague-out’ and go on auto-pilot, only to be shocked by someone merging too closely, or side-swiping them. I’m not saying we are to blame for every crash, only that there are no coincidences. Spirit will do whatever it takes to keep us alive, even if that means sidelining us until we listen. *I’ve used the terms ‘conscious driver’ to mean someone living from love (wanting to heal), and ‘unconscious driver’ to suggest someone living in fear (wanting to control). The goal is not to fake kindness, but to practice kindness when you’re feeling down. This is how we teach others – through vulnerable compassion. -Before you go on a trip, or when you feel tense, imagine your car in a bright blue bubble and say ‘Archangel Michael, thanks for keeping everyone safe today, including me’. You’ll feel calmer. -If someone is tailgating you, do what palmist Kerrie Edwards-Ticehurst does – look in the mirror and say ‘back off!’ while imagining an Angel pushing them away. If there’s room, I slow down slightly, to encourage the tailgater to go around me, rather than speeding up and rewarding their behaviour. -If you often tailgate, speed or critique others, it’s time to learn meditation. Only when you are centred, can you influence those around you. Visit your local yoga school or check out meditation tracks – Soulbyrds also have nice ones. One technique is to breathe in for 4, hold for 2, breathe out for 4, hold for 2, until you calm down. People with 13, 14, 16 or 19 numerology can be addicted to rushing etc. Read more on karmic debt numbers. -Learning DISC personality profiling can help. As a high C, I focus on accuracy (which is great for psychic readings), but have high expectations, so I’ve had to tone down my inner critic to improve my relationships and driving over the years. -Next time you’re triggered by someone’s car/ speed/ music/ attitude etc., think ‘bless you’ and visualise sending a beam of gold into their car, as if you were illuminating it from the inside. Wishing them well will not only help them, it will build your energy. -I also raise a hand to send Reiki/ peace whenever I see an animal that’s been killed, or see an ambulance/ fire engine. Vicki Haspels is my favourite Reiki teacher in Brisbane. When was the last time you ‘let someone in’ to merge? Do you get cranky when people jaywalk? Is this because you’re worried they will get hurt, or because you have trouble following the rules as well? Do you judge hitchhikers? Why? Is it because they remind you that life has dark edges and there is no security but self-love? We’ve all followed a learner when we are running late, or shaken our head at a car full of teens on a Saturday night. Your attitude to young drivers reveals a lot about your ‘inner child’ and compassion. Our brains don’t mature until 25-30. So most drivers on their L’s or P’s are still ‘adults-in-training’. As this article highlights, the idea that we reach 18 and know what we want, is ridiculous. Perhaps we should teach driving at 12-13, before the hormones hit? Anyone who’s grown a plant knows that it flowers depending on its inner timing and upbringing. People are the same. I didn’t find numerology until 29, which makes sense as I am a Master 29/11 lifepath. Until then, I went from job to job, looking for my purpose. Your lifepath age is always a turning point. -Next time you see an L or P-plater, picture yourself when you were learning to drive. Imagine praising this ‘inner child’ with words like ‘keep going – you’re doing well’. I even give myself a kiss on the hand. Healing ourselves, balances the world faster than nagging or judging. Read more on inner child/ heart healing. -Laughter cures frustration. Picture the L-driver as a baby bird who’s been pushed out of the nest and is madly flapping its wings. Perhaps it’s flying upside down, shedding fluff everywhere?! -Our true nature emerges when dealing with people ‘below us’. That’s why I always watch how my date interacts with waitstaff at a restaurant. If you find pedestrians or hitchhikers confronting, then it’s time to ditch the illusion of separation. Leave your car at home and walk, bus or train to work. Carpool to an event. Take the scenic route. Baby steps like this will restore your faith that support is everywhere. The slower you go, the faster you grow (a Workaholics Anonymous affirmation). -If, after all this, people still get on your nerves, it’s time to take up a hobby, do some journalling and/ or seek counselling. We only react to what we are hiding from. Maybe your inner child or teenager needs attention. This can show up as behavioural issues with our actual kids, aka the loudspeakers for our heart. See my list of recommended healers, and read about psychic kids. Good intuition is as essential as high beam headlights while driving, especially when you’re navigating a dark night of the Soul. Of course, it takes effort to develop, including the courage to keep leaving your comfort zone. Maybe it’s the 7’s in my name (read more on 7’s), but I’ve been wandering off my whole life. As a little girl, I thought it was normal to hear announcements at Kmart like, ‘if there is a Sarah Yip in the store, please come to the counter, your mother is waiting for you’. I even majored in Geography at University, in an attempt to learn to read maps. Sadly, this didn’t work, but luckily someone had invented GPS’s by then. Most people I know love their GPS, but for years I was the opposite. I resisted getting one, because I wanted to keep my brain sharp. Perhaps this refusal to ask for directions is why I have such a bulletproof relationship with my Spirit Guides. ‘When in doubt, I pray it out’. That said, after many missed appointments, I started using a GPS and now I’m a fan. BTW, I’ve done a psychic reading for Karen Jacobsen, the GPS Girl, and reckon she’s saved a lot of marriages with her friendly voice! – Keep your cool during Mercury Retrograde (19 Dec 2016 to 8 Jan 2017). As I write here, although some people experience delays, this is the perfect time for healings, psychic readings, havingpredictive dreams, visiting favourite places and meeting old friends. Mark retrogrades in your diary, so you can pre-book clients and holidays. I’ve been doing this for years. While other people sweat over last-minute cancellations and IT shutdowns, I’m taking it easy in a mountain hut, or at the beach. Having done thousands of readings and intense therapy since 2007, I believe there’s a force greater than us (God/ Goddess/ Source), which it wants us to be happy, healthy, well-rested beings! This blog is proof that miracles happen, even to sceptics (I am a scientist). Read more on manifesting miracles and 11:11 on clocks. – Keep your intuition strong with regular use. Turn off your GPS once a week (when you’re not in a hurry), and challenge yourself to find a new way to your favourite café etc. You may be surprised at how freeing this is, and what new sights you discover. Improvisation keeps our brain hemispheres (left/ logic and right/ creative) connected, which is essential for happiness. When we keep taking the same route in life, our minds narrow, and we end up with black-and-white thinking. This is a recipe for conflict. Fortunately, our brains can always heal. -Next time your GPS says ‘recalculating’, stop and check in. Are you in your heart (the moment), or your head (worrying about the past or future)? If it’s the latter, then perhaps you are literally, off track. The head is a great slave but bad master. It’s only job is to look for (or create) problems it can solve. The heart on the other hand, knows that life is a game and we are immortal. -Honour your GPS and it will love you back. A prayer like ‘Thanks for getting me this far. I know I’m always on Divine time. No path but this*’ can help you to stay in your power when other people would lose the plot. *This is a line from my favourite singers Deva Premal and Miten – see their psychic reading. -When you feel lost, reset your frequency by letting out a big sigh, groan, scream or yell to release any pent-up frustration, before you keep going. If this isn’t possible because you have passengers, turn on some music and sing it out! If they make fun of you, I’d tell them to sing along, as they clearly need to ‘tune in’ too. More on chanting, singing and intuition. -They say the longest journey you will ever make is from your head to your heart. It’s easier to blame people and stuff for our issues, instead of owning our lessons. Glitches are messages. When you have GPS malfunctions for no reason, it’s Source wanting you to take responsibility for your energy. 4) Your fuel tank shows your attitude to abundance and money. Do you see the glass as half-full or half-empty? I bet your beliefs are reflected in your fuel tank! As fuel prices rise, it’s hard to keep our tanks topped up when there are so many other bills. However, it’s worth considering the psychological cost of running out of fuel. Whenever I stress about my fuel light blinking, that’s five minutes of life I’ll never regain. These days, I even fill up my partner’s car, in case I need to drive it. I’m far more responsible since giving birth to Forrest Bump. No wonder my Head Line (intelligence and optimism) in palmistry has grown an inch since he arrived! -Sorry to be morbid, but one day you’re going to die. We never know when our time is up, so it’s an act of love to keep your fuel tank full. One less thing to worry about. Your peace of mind is priceless – literally, some people would give all their wealth, just to have your problems instead of theirs. -Put good fuel into your car, it’s worth it. You get what you pay for, and premium fuel is cheaper than extra car services. I take the same approach to my food intake, and eat organic – see Spray-Free Farmacy for deliveries in Brisbane. A case of cancer can cost $100K in lost income and medical bills. I’d rather spend that on staying healthy and supporting local producers. -If your tank is empty and you don’t have the money to fill it, see this as an invitation to heal. Stay home and rest (it’s good for the planet), or call someone you love and ask for help. Take the chance to review your life – are you ‘driving yourself crazy’ giving to others without refuelling yourself? Maybe it’s time to pull back, or to ask your passengers to increase their contributions to you? Another thing to consider is, are you happy? It might be time to permanently refuel. Happy people plan for the future, while unhappy people stay in ‘fight-or-flight’ as a way of distracting themselves (Doreen Virtue wrote about this). If you’re in a job, relationship or house that you hate, you might overspend as a form of self-sabotage. Read my tips on creating money through chakra healing. –My car battery goes flat when I’m tired, and this is no accident. My Mum told me to always keep ‘something in the tank’ – this has been a struggle for me due to my eating disorder, but I’m getting better every day. As a Master 11 lifepath I tend to push the boundaries to find myself. Find your lifepath. -As an aside, why not spiritually refuel while driving, by playing positive tunes and audiobooks? Successful people protect their headspace by listening to music and affirmations. This makes sense, as there’s nothing worse than hearing about a murder as you’re going to work. If you must listen to the radio, at least avoid the news. Much better to seek out info from positive sites online. Check out my partner’s Conscious Wisdom podcasts, for example. Do you stress if you can’t find a park, or trust that an opportunity will turn up? Are you happy to follow someone (politely) to their car? Sometimes we need to be assertive to claim our space. Do you get annoyed if someone ‘takes’ your park? Do you remember where you’ve parked or it is a game of chance? Do you use your magic powers to manifest a park? My Dad says it takes two years to get to know someone well. I believe it takes two years, and several car trips to understand them! Nothing brings up our stuff faster than a packed parking lot and pushy drivers at Christmas time. When you watch someone park, you see how they perform under pressure – it’s quite enlightening! Optimists often get parks easier than pessimists. -As you approach a parking lot, say out loud ‘Thanks for the perfect park’. Then trust that whatever park you choose, is the one that will enhance your life. If you have to walk 500 metres to the shops, maybe you need the physical release. 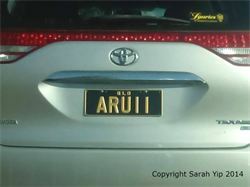 If you park next to a car with an striking numberplate (read more on licence plate miracles), please pay attention. -If someone jumps the queue to take a park you wanted, you have two options. Lower your vibration and curse them or raise your vibration and move on. It’s unlikely they’ll back out, so the second option will save you grey hairs. You can still do the yelling exercise I mentioned in 3). You could also put a hand to your heart and say ‘I am enough, I have enough, and I deserve enough’ to remind yourself that no one can diminish you without permission. Trust that karma is always watching. The exception to this rule is if someone does something dangerous, in which case I would definitely say something and report them to the authorities. -It’s cheeky, but another way to make sure you always get a park is to quit your day job, start a business or consultancy, and spend the rest of your life cruising through non-peak traffic. If you’re prepared to take a calculated risk, the world’s your oyster. I should know, because I did this in 2011, and so have many of my clients (especially those who see 11:11 and repeating numbers. They seem to be unusually entrepreneurial, psychic and multi-talented). Owning a car is a privilege, and teaches us about the wise use of power. 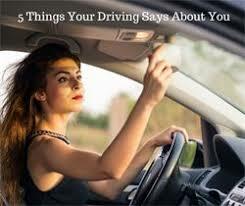 I hope you’ve enjoyed this look at what your driving says about you, and how to heal your bodily and motor vehicles. Here’s a story about how my car helped me, it’s from my post about overcoming bullies. Years ago, when someone kicked my door in, the police told me they’d never find the culprit. Something told me to keep praying for a breakthrough. Incredibly, several months later, a man confessed to the crime. The police were stunned, and I was happy, because my car got fixed for free. There’s so much more I could write, about what your car model, or mechanical faults mean, but I wanted to focus on the issues I care about. If you have any requests for future articles, by all means contact me below. And a final tip – next time you lose your car keys, ask the fairies to bring them back – they’re always happy to help! I wish you safe driving this holiday season, and throughout your life. Thanks for all your support. You make my writing life so worthwhile. 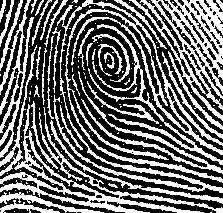 Peacock’s Eye Whorl Fingerprints in Palmistry – Spirit to the Rescue!